Thanksgiving is that time of the year to give thanks for all the blessing we’ve received throughout the year, also enjoying quality time with our loved ones and lets be honest to indulge in a delicious feast! But I’m sure what you didn’t know…. is that your teeth love Thanksgiving too. Pumpkin pulp contains enamel-building Vitamin A, fiber and potassium. Pumpkin seeds are a great source of magnesium, a nutrient that helps strengthen teeth. Turkey is the main attraction of the Thanksgiving table. Turkey is loaded with protein, making it a fan favorite for both your body and smile. Protein has phosphorus in it and when phosphorus mixes with calcium and vitamin D it helps build strong bones and teeth. 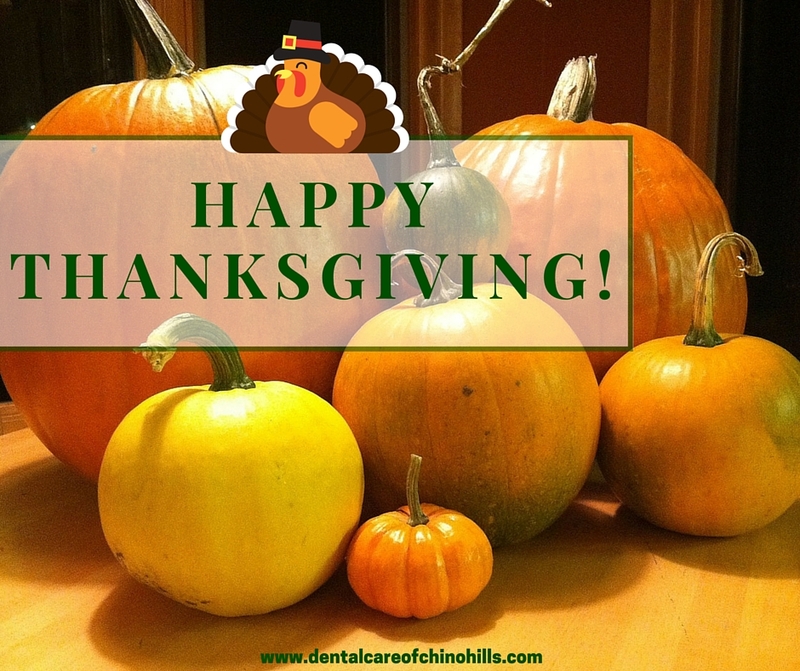 Our Thanksgiving favorites are the ones filled with nutrients and fiber like ( carbs, fats and proteins) help build strong bones and teeth, while fiber helps produce saliva , which acts as a defense against cavities. Have a wonderful holiday meal. Happy Thanksgiving!